Back row: M Blackburn, J Stevens, M Box, G Mann, P Llewellyn. On the wet evening of Tuesday 24 August 1954 the Mayor of Hove, Councillor A H Dilley, sent down two woods to officially open a new seven rink bowling green in Knoll Recreation Ground, Hangleton. Formerly known as Hudson’s Tip this had been an area where the rubbish from Hove was dumped and the transformation into a pleasant park with a panoramic view of the seas to the south and, until future development obstructed it, a glimpse of the rolling downs to the north, was the work of the Council to provide an amenity for the northern inhabitants of the town. The total cost, including purchase of the land, lay out and construction - including conversion of a war time civil defence hut into a pavilion for sportsmen and public toilets - was £6,584 However the Ministry of Education made a grant of £1,129 towards these cost reducing the figure to £5,455 The green was sea-washed Cumberland turf which had been grown from seed by the Council’s Parks and Gardens Dept. and the first groundsman was Mr S W Grice who had been Sussex Singles Champion two years earlier. A Preliminary Meeting, convened by Mr A J Sumner, to consider the formation of a Lawn Bowling Club was held at the bowling green in Knoll Recreation Ground on 23 October 1954 attended by: Councilor Gosling, Messrs Annand, Chatterley, Dew, Diffin, Gibbins, Idle, Legg, Massey, Mortimer, Moses, Nichol, Spinks, Styles, Sumner, Ward, Mrs Legg, Miss Parton, Mrs Spinks and Mrs Sumner together with Councilor Chesshire and Mr Hyland - Chairman and Superintendent respectively of the Parks and Garden Committee of Hove Corporation. This was followed on 4 December 1954 at 2.30pm by the Inaugural Meeting of Hangleton Bowling Club. Founder Members in attendance were: Councilor C F Gosling, Messrs J C Annand, W H Ashby, W M Carr, W Chatterley, G W Dew, H Mortimer, J Nichol, L G Ridge, S H Spinks, A J Sumner, C A Wiltshire, Miss M Parton, Mrs Spinks and Mrs Sumners. Apologies were received from: Councilor Chesshire and Messrs R N Massey, F H Gibbins and Mr and Mrs Legg. The first A.G.M. on 19 November 1955 was attended by 25 members: Councilor C F Gosling, Messrs Annand, Buckland, Carr, Chatterley, Cooper, Dawson, Dew, Feist, Fuller, Markes, Massey, Mortimer, Moses, Ridge, Shaw, Spinks, Starr, Watkins and Wiltshire and Madames Cooper, Fuller, Ridge, Spinks and Sumner. Apologies from Mr Sumner and Mr and Mrs Legg. The second A.G.M. On 21 November 1956 was the first to be held in the evening and attracted slightly less members : Councilor C F Gosling, Messrs Annand, Baguley, Buckland, Carr, Chatterley, Cooper, Dawson, Dean, Dew, Feist, Massey, Mortimer, Parker, Ridge, Spinks, Starr, Tye, Watkins and Wiltshire and Madames Ridge, Spinks and Starr. Apologies from Mr and Mrs Legg., Ashby, Page and Watkins. In 1954 under Club Rule 3 each year the Mayor of Hove was invited to be Club President. This was changed at the fifth A.G.M. on 24 November 1959 when the position of President was added to the Club Officers elected annually under Rule 4 At the same time the sitting mayor was invited to become Club Patron. More recently C J ‘Jack’ Laborde held office for 31 consecutive years: Captain 1981-82, Chairman 1983-90 and 1995-2011 and President 1991-2002 while Peter Llewellyn [nine years 2002-10] became the joint longest serving Club Treasurer matching S H Spinks term of office. The Club’s major trophies were also donated by early Members. G H Dew [the first Club Champion] presented the Club Singles Championship cup, Alderman A H Dilley - the Mayor who performed the opening ceremony - presented the Club’s Pairs Championship cup and Councilor C F Gosling donated the Club’s ‘Fixed Jack’ cup. W M Carr donated two cups - Mixed Pairs Winner and Singles Championship losing Finalist. C Buckland, who attended the first A.G.M., later donated a cup for the Lead bowler in the Club Pairs Championship and W Baguley who attended the second A.G.M. donated a cup for the Men’s Handicap Championship losing Finalist. 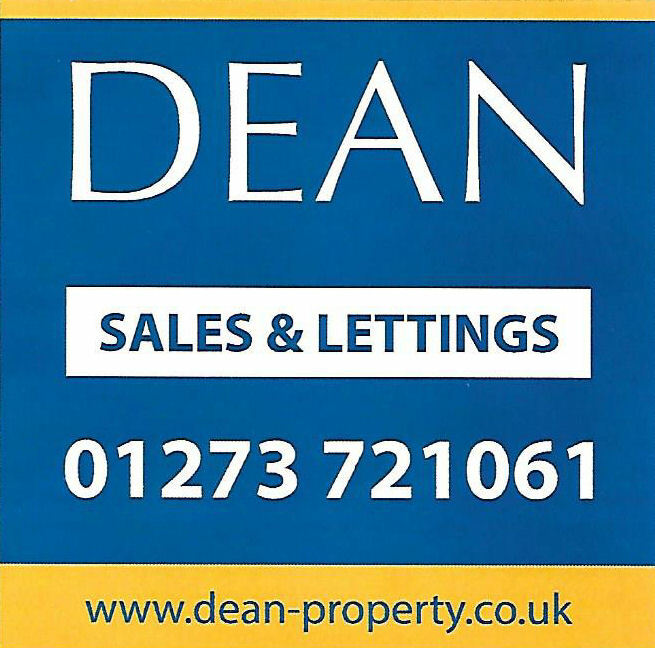 Founded originally as a Mixed Club this lasted until 1978 when the ladies broke away to form the separate Hangleton Ladies Bowls Club. Not until 2010 when there was a national movement towards unification did the Men’s and Ladies Club merge to again form a Mixed Club. Colin Morphew [Immediate Past President], Roger Parsond [Norfolk BC] & Ross Clifton [Past President]. The City’s Mayor and Mayoress, Councillor Brian Fitch and his wife Nora, made the annual tour of city Bowling Club’s to bowl the first wood and declare the Green’s open for the 2015 Season. At Hangleton it had an added significance as this year the Club celebrates its 60th Anniversary and here the Mayor, who as a Councillor represents the Hangleton Ward, was joined by the two other local Councillors Dawn Barnett and Tony Janio. The Mayor and Mayoress were welcomed by the Club’s President Derrick Aylward and Captain Pam Symons. The Mayor was then invited to bowl the first wood and to formally open the new season and the Lady Mayoress also joined in the bowling. After the formal opening everyone retired to the Clubhouse where the Mayor cut a special cake to mark the occasion then congratulated the Club on achieving the milestone of 60 years and wished the Club many more years of bowling. The Club has a unique connection to the office of Mayors which goes back to 1954 when, on 24 August, the then Mayor of Hove,Alderman A.H. Dilley officially opened the new Green by bowling the first wood. Eight weeks later the Bowling Club was established and commenced playing in the 1955 Season. Alderman Dilley also accepted an invitation to become the Club’s first President, a post that was held by successive Mayors of Hove for the next 5 years. At the same time Councillor C.F. Gosling became the Club’s first Chairman and each presented the Club with a competitions Trophy both of which are still contested annually today. 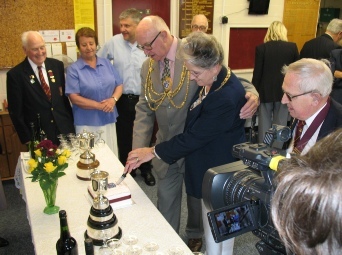 The Mayor and Mayoress cutting the Hangleton Bowling Club 60th Anniversary cake which is flanked on either side by the two cups donated in 1955 by the then Mayor of Hove Alderman A H Dilley and Councillor C F Gosling. Also in the ‘photo are the other Hangleton Councillors Dawn Barnett and Tony Janio.